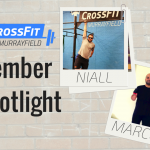 We hope to have a regular feature here on the blog where our members can share their experiences at CrossFit Murrayfield. 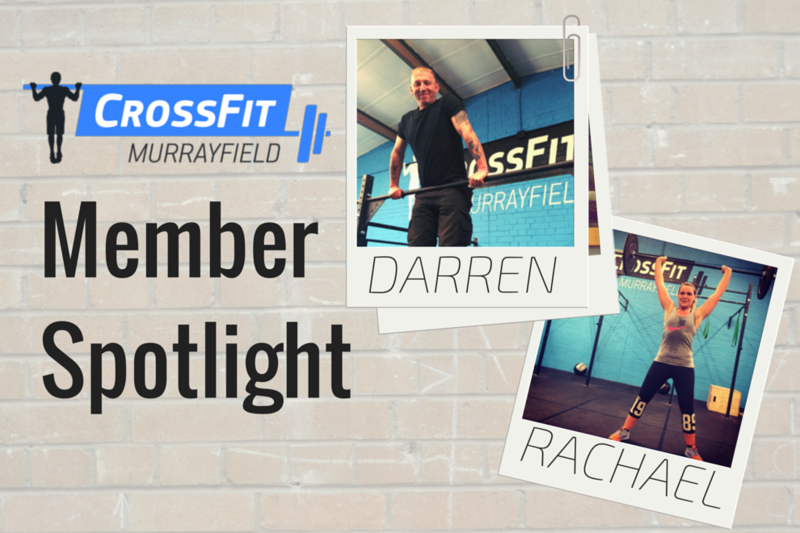 This month we selected Rachael and Darren to answer a few questions. Rachael and Darren were both there for our very first class at 6:30am on Monday March 2nd, 2015 and have consistently been attending classes ever since. Just two months in and they are already seeing progress. 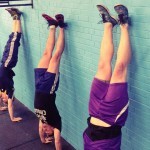 What does CrossFit mean to you? Being able to push myself seeing the results, working hard for it as it is challenging and different every class. 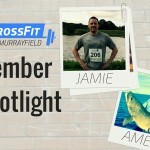 What is the reason you to started CrossFit? I wanted to find something that was more challenging and different from your everyday gym. How has your life changed since you started CrossFit? I am more alert for the day, feel healthier, more energetic and stronger. 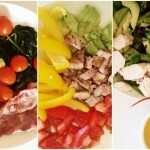 My nutrition has changed for the better. I have also gained knowledge I would never of had before. I’ve met cool people and everyone is great at motivating each other. What movements do you like to see on the Coachboard? 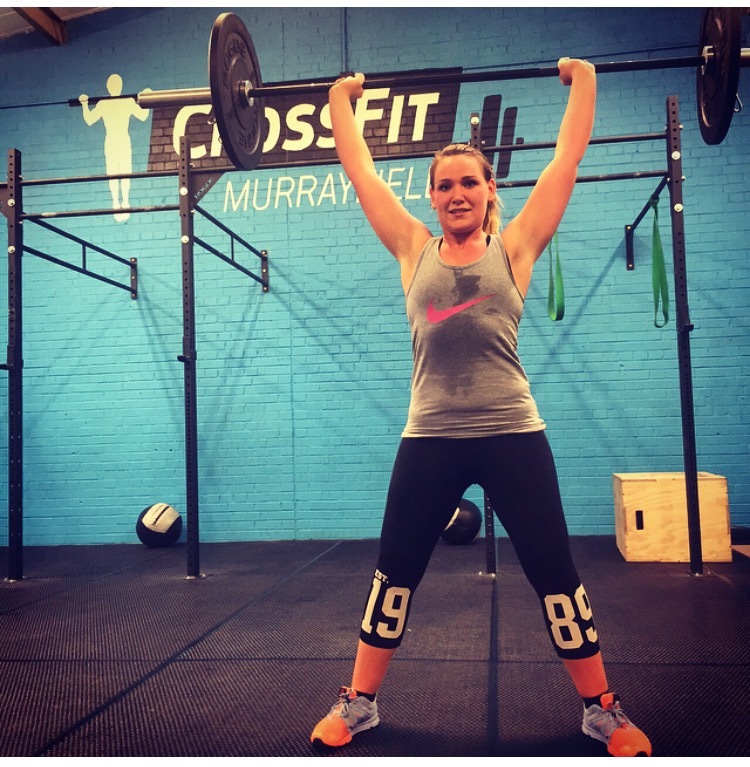 Squats, runs… pretty much the lot – I love a challenge! What inspires you? Positive people who don’t give up and work. CrossFit inspires me and encourages me to get up early and go to the box knowing there’s a challenge ahead. Guilty Pleasure: hot chocolate…. Wee vodka on a Saturday and peanut butter. What advice would you give to someone thinking about starting CrossFit? 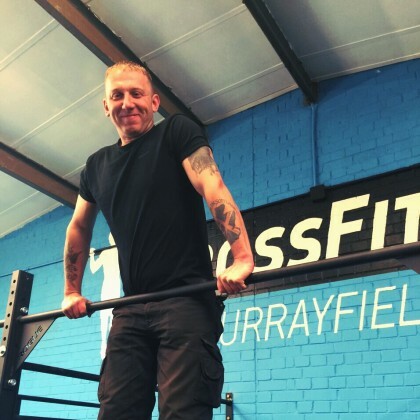 Go for it, no matter what health goals you have William the coach is a great help, very knowledgable and you can tell he loves his job and seeing people’s progress. What do you do for a living? I work as a service engineer. What does CrossFit mean to you? 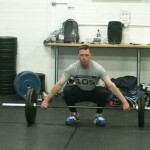 It started off as a opportunity to improve my general fitness and wellbeing and since then I’ve got quite addicted to CrossFit as in watching videos and trying to improve my technique. What is the reason you to started CrossFit? The reason i started crossfit was because I am getting married and wanted to get in shape for my big day. How has your life changed since you started CrossFit? I am currently trying to stop smoking and my general fitness is getting better. What movements do you like to see on the Coachboard? I enjoy all the classes I attend. I could do with missing out the burpees lol! What inspires you? I like the Wodify app. It shows me how each week my performance is getting better. Having Wull Graham as a trainer pushing me towards my targets makes me more determined to reach them. It’s also a friendly environment. What advice would you give to someone thinking about starting CrossFit? I would advise anyone to try CrossFit. I was a member of a gym and did various classes but either didn’t push myself enough or classes weren’t working for me as I didnt see much improvement. Since meeting Wull and starting CrossFit I am now into my ninth week and lifting double what I used to be able to lift.